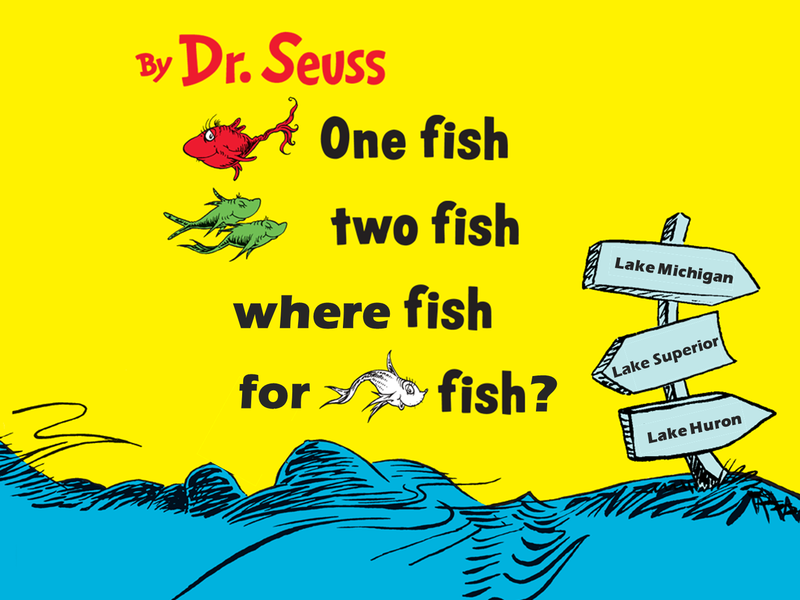 One Fish, Two Fish, Where Fish for Whitefish? Imagine you are playing a game of Monopoly and are investing wisely for the future. You have numerous hotels on “Boardwalk” and are raking in the dough any time another player lands on your valuable property. Then, the rules of the game unexpectedly change. “Baltic Place” is the hot commodity and all of your painstaking investments in “Boardwalk” are for naught. Now, imagine this is not a game and your actual livelihood and family depend on your success. Currently, the Great Lakes Lake Whitefish fishery is the most economically valuable commercial fishery in the upper Great Lakes. But, like the modified Monopoly, this fishery could face new “rules of the game” from climate change. My dissertation research developed a decision-support tool to ensure that the fish, the fishery, and the livelihoods dependent upon them remain sustainable in the face of climate change. Lake Whitefish, a member of the salmon family, are found in coldwater lakes throughout much of northern North America. Like many salmon species, they are highly valued as food fish: fresh fillets, smoked fillets, frozen fillets, fish cakes, spread, and sausage. Lake Whitefish have been a staple of native communities in the Great Lakes for thousands of years and were a particular favorite of early French explorers—one even wrote that “a better fish cannot be eaten!” They are a favorite still today; over 15 million pounds of Lake Whitefish are consumed each year in the Great Lakes region alone. To reach someone’s dinner plate, a Lake Whitefish must survive a treacherous journey from an egg to a larvae to a juvenile and, finally, recruit to the fishery. Ultimately, we want to know how many Lake Whitefish enter the fishery so that we can determine how many can be harvested without negatively impacting future populations and harvest. 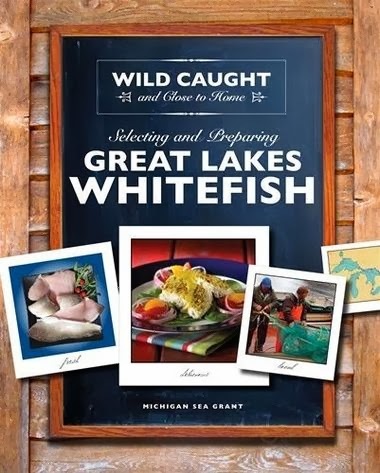 But, it is next to impossible to know how many Lake Whitefish are actually out there. So, we estimate the population size using mathematical modeling. You can think of mathematical modeling of fish populations like a visit to the eye doctor. For many of us, perfect 20/20 vision is as unobtainable as knowing true population abundance is for fishery managers. 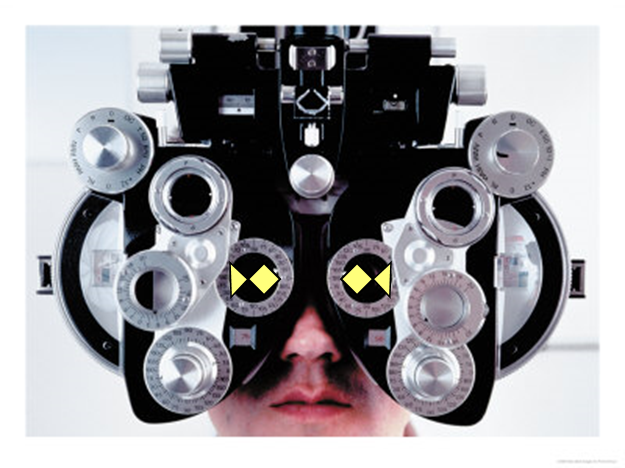 But, with corrective lenses and modeling approaches, we can get pretty close to estimating (or seeing) those realities. Like adjusting the lenses in an eye exam, including biologically relevant variables in the model can often improve our ability to predict fish populations. My dissertation research did just that. I examined climate factors, specifically temperature, wind, and ice cover, which have been shown to influence recruitment of Lake Whitefish to the commercial fishery. Because Lake Whitefish spawn in the fall and hatch as larvae in the spring, these time periods are particularly critical to the survival of Lake Whitefish. I used historical data to model how changes in these climate variables affected recruitment. Could warmer temperatures be good for a coldwater fish? Earlier research has observed positive relationship between recruitment and spring temperatures and ice cover and a negative relationship between recruitment and fall temperatures and fall wind speed. My research confirmed these same patterns. Warmer spring temperatures may improve survival of larval Lake Whitefish, if food resources are available, and increase Lake Whitefish production in the Great Lakes. However, warmer fall temperatures, more wind, and less ice cover may inhibit egg survival and, consequently, Lake Whitefish production. 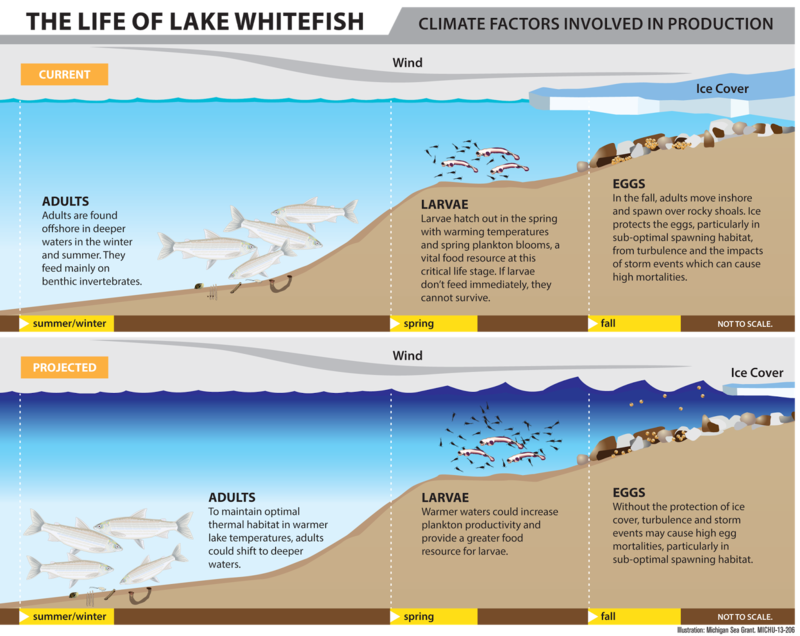 The relationship between climate variables and Lake Whitefish recruitment has significant implications for the fishery in the context of climate change. By the end of this century, the Great Lakes region will be warmer, windier, with less ice cover. Surface temperatures for the Great Lakes, for example, are expected to increase by as much as 7°F. So, is this just another “doom and gloom” climate change story where a species will be ousted by habitat changes? Or, perhaps could warmer temperatures be good for this coldwater fish? Using the climate-recruitment model, I was able to project anticipated impacts on Lake Whitefish recruitment using my climate-recruitment model and a downscaled climate model developed for the Great Lakes for the 1836 Treaty Waters of Lakes Huron, Michigan, and Superior. The 1836 Treaty Waters sustain a highly productive Lake Whitefish fishery, approximately 25% of the whole fishery in the upper Great Lakes. Recruitment projections varied between management units; some had up to a 50% decline and others had as much as a 220% increase. Overall, my research suggests that there is potential for increased Lake Whitefish recruitment in the Great Lakes with climate change and some shift in the distribution of the fishery. 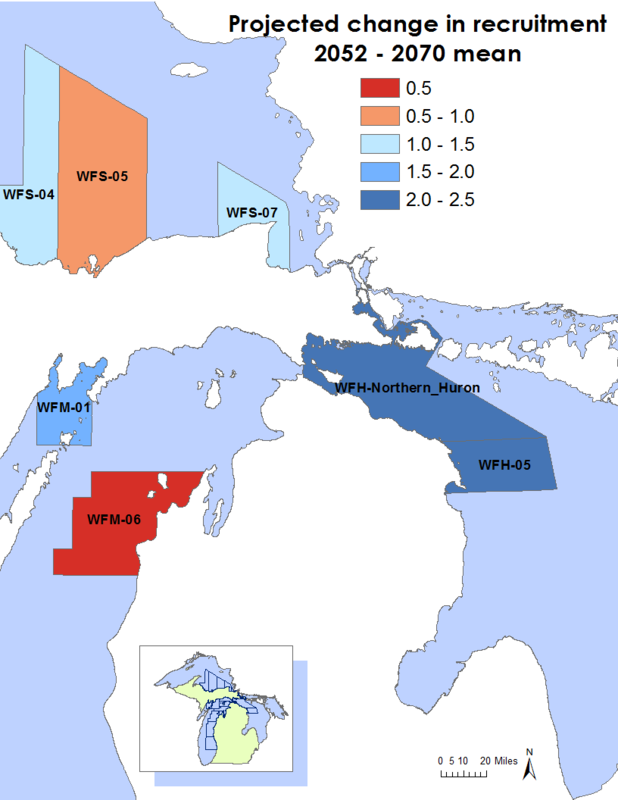 These potential changes in Lake Whitefish populations have significant repercussions for fishermen and the communities dependent upon this fishery. Returning to the Monopoly analogy, if you could predict changes to the game, you would change your strategy and invest differently. Likewise, my research aims to help the Lake Whitefish fishery adapt to anticipated climate change. I hope my climate-recruitment model and projections will serve as a decision-support tool to assist fishermen and fishery managers. This tool, which is housed on the Michigan Sea Grant website, will tell fishermen if it’s better to give up on the “Boardwalk” fishery locations and focus their investments on “Baltic Place” for a more sustainable and prosperous fishery. Because, ultimately, who doesn’t want to win Monopoly? 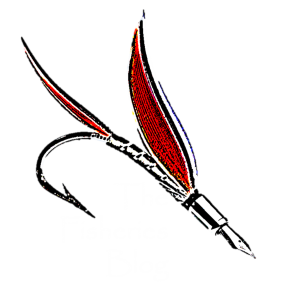 Be sure to like The Fisheries Blog on Facebook and follow us on Twitter (@FisheriesBlog). Next Post Dolphin Deaths a Boon for Sharks?